Morning sunshine! Growing up in Vietnam, breakfast is a must. Now I’m already 23 but dad still takes all of us out to eat breakfast every weekend and that is the most well-spent quality time for my family. I feel like each country has its own way with beef and eggs. 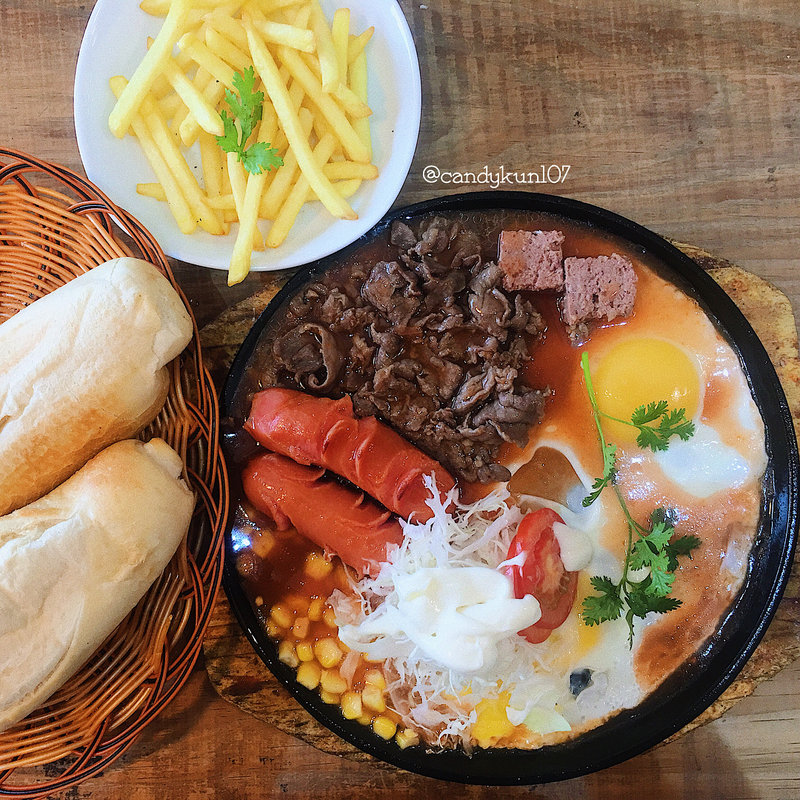 In Vietnam, we love the yolk but love dipping crunchy morning baguettes into it more, together with flavorful stir fried melty soft beef, fat little sausages and pate sitting in ponds of insanely good sauce. Chao means the pan in Vietnamese: so, yeah, you will eat right from where everything is served sizzling hot. Let’s sunny side up your day with Chao! A mouth-watering serving of “Banh Mi Chao” can give you enough energy for the whole day. Location: 72C Tran Quoc Toan, Ward 8, District 3, HCMC. If you haven’t tried Pho in Ho Chi Minh city, you haven’t experienced the peak of culinary pleasure. Pho Hoa Pasteur is one of the oldest and most trusted Pho serving places in Ho Chi Minh city. Apart from the price, it hasn’t changed much since 1891. Out of all the dishes I know, in all the countries I’ve been to, I don’t think I’ve come across any that is as sophisticated as Pho. The broth is made from stewing beef for at least 8 hours with various spices (cinnamon sticks, cloves, coriander pods, star anise and cardamom). Then, the infused stock is poured over unique flat rice noodles and covered with many beef toppings as well as fresh green herbs. Did I say Pho is one of the greatest invention of human beings? Eating one soothing bowl of Pho for the last 23 years and still counting. I just can’t get enough. Pho is indeed the greatest invention of human beings. Location: 260C Pasteur, Ward 8, District 3, HCMC. 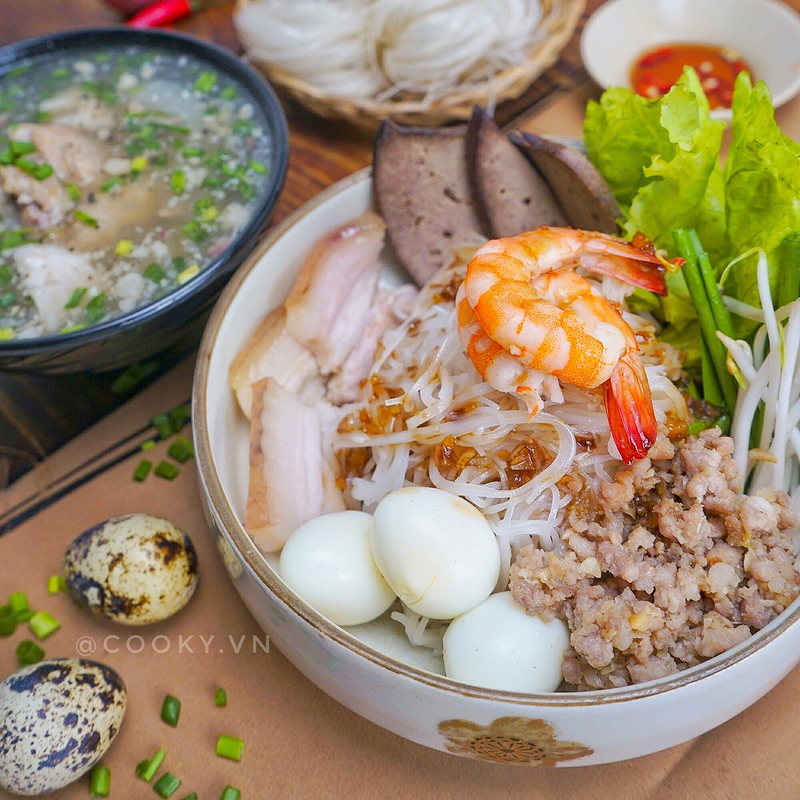 Hu Tieu is a queen noodle bowl in Vietnam’s Southern Kingdom of Savory Cookery. I do feel like no matter how sad I am, I can immediately be cheered up with a bowl of Hu Tieu. 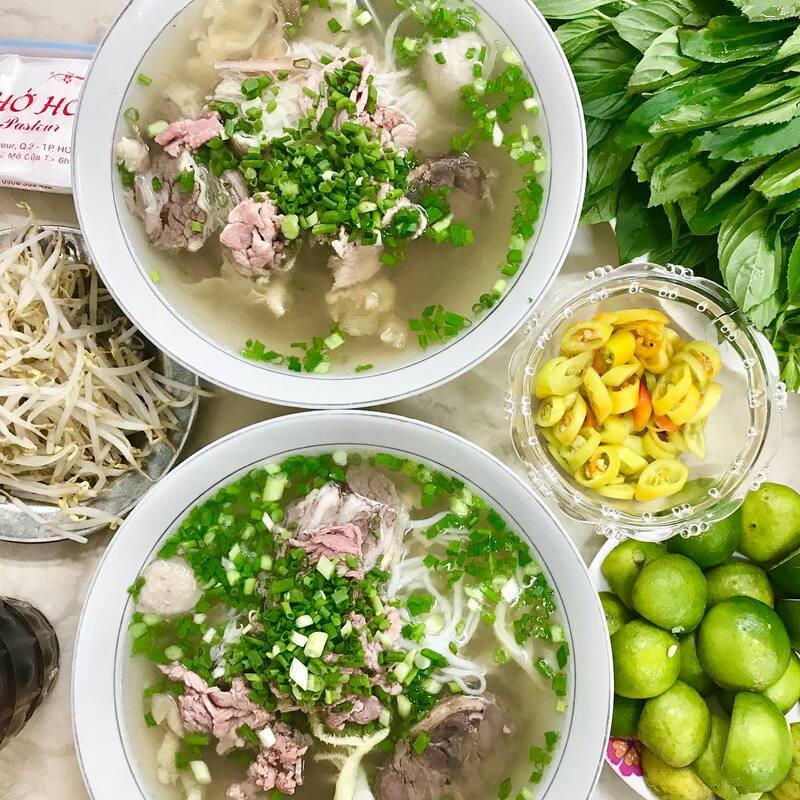 It can be served dry with a cup of broth on the side (Dry Hu Tieu) or the conventional way with noodles and broth altogether which in us Vietnamese call Water Hu Tieu. Most Vietnamese I know, including my mom, always go for Dry Hu Tieu. But somehow, recently, I’ve started to like the Water version one bit better. If you can, please try both. Lien is my recommendation because of its clean atmosphere and great space. It’s hardly ever crowded since Lien is located across from Nhan Quan. While Nhan Quan is the most famous Hu Tieu brand in Ho Chi Minh city, it is too touristy for my taste. “When in Saigon, eat Hu Tieu!” – that’s all I’m saying. When in Saigon, do as the Saigonese do: eat Hu Tieu! One time I took my American friend here for lunch, we stayed 15 minutes after paying our bill because we were just too full. If you ask Saigonese where to get the best Com Tam in Ho Chi Minh city, 9 out of 10 will point to Ba Ghien. Yes, it’s nationally renowned as the best restaurant for Com Tam Saigon. 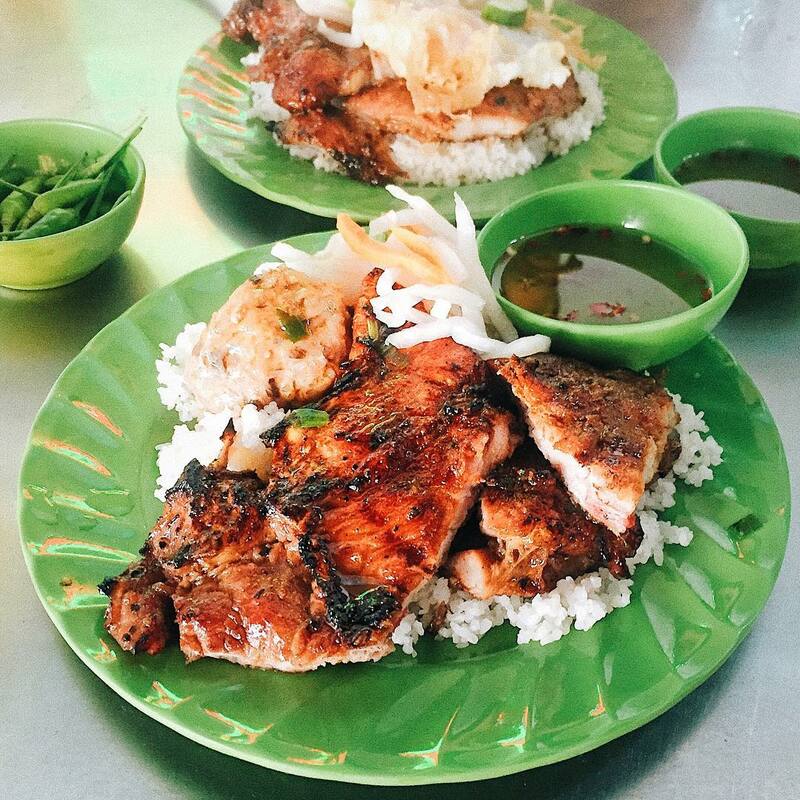 Broken rice is one of the most fundamental elements in Vietnamese Southern Food Hub. The most ordered main dish would definitely be the grilled pork chop, and hats off to Ba Ghien because as frequently as I try out Com Tam restaurants, so far no place can do their pork chops as skillfully as Ba Ghien does. Look at that well-roasted rib! Location: 84 Dang Van Ngu, Ward 10, Phu Nhuan District, HCMC. 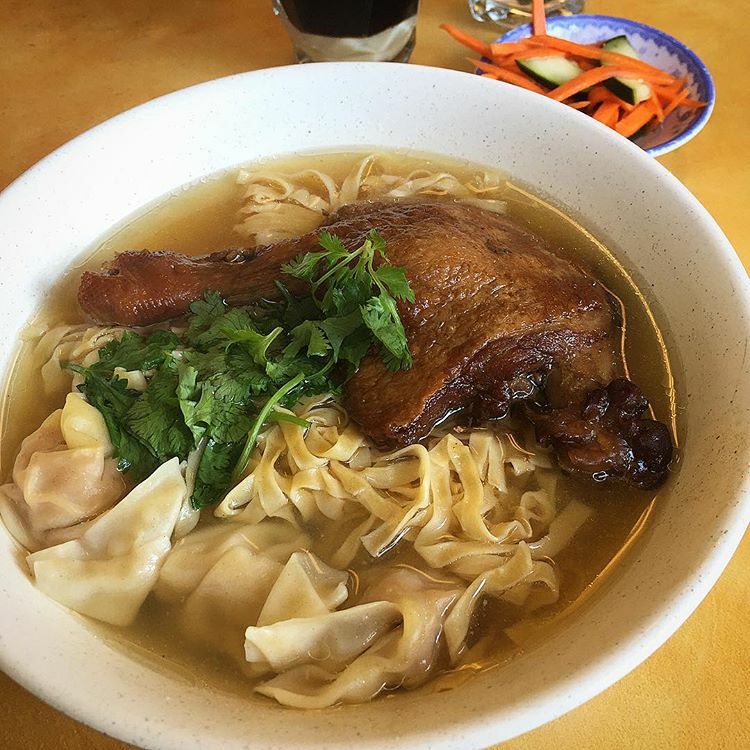 Coming to District 5 you’ll definitely notice the change in scenery and that signature Traditional Chinese Herb spreading to every corner. Cho Lon – Chinatown in Saigon, originally a Chinese refugee settlement since 17th century, has been popularly crowded with ornate pagodas, wholesale markets and especially restaurants bearing authentic Chinese characters. To anyone who is curious enough to make it all the way to Cho Lon: here goes my childhood comfort food, Mi Vit Tiem. From the look, it’s simply a braised duck with egg noodles and some chopped bok choy. But the moment you take a sip of that dark brown broth that rich medicinal (from the herbs) yet surprisingly savory flavor explodes. Deceptively effortless looking, but Hai Ky Mi Gia has made it to our list of top 20 best restaurants in Saigon. We just can’t get enough of Mi Vit Tiem! Hungry already? What are you waiting for? 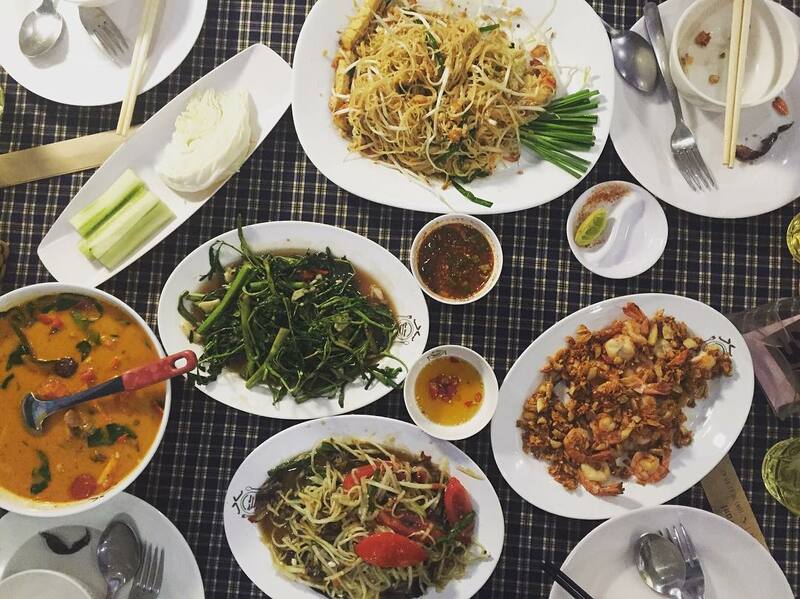 Let Inspitrip take you on a culinary adventure to fill up your stomach with the best cuisines in Ho Chi Minh city. Huong Rung must be one of the most long lasting restaurants in this rapidly changing city. 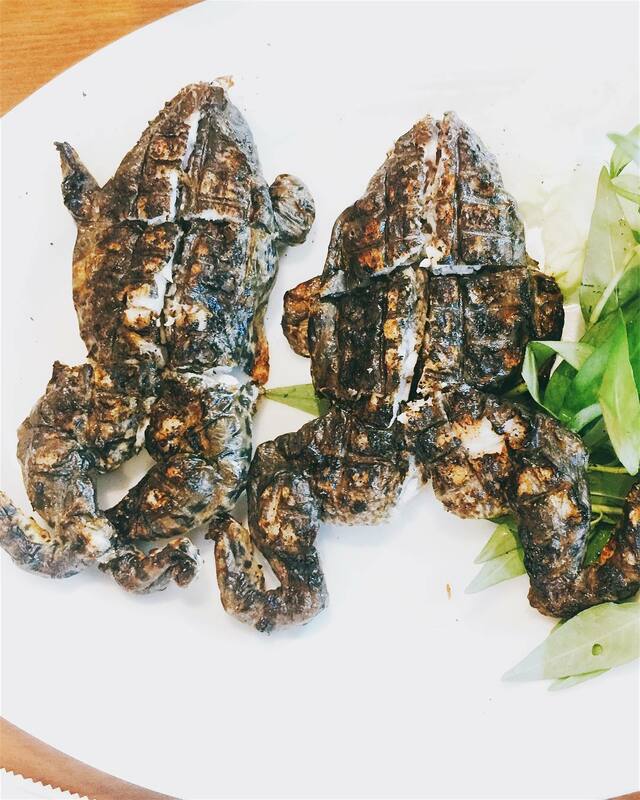 Claiming to serve crab with the best quality, you can find a number of interesting Vietnamese style crab dishes here. My Japanese friends often say “You Vietnamese can eat everything”. I guess it’s true since I believe Huong Rung provide a variety of exotic foods that are hardly found anywhere else such as snake, pupa, porcupine etc. Once I watched a review of this restaurant on YouTube where the staff literally took out the cobra’s poison and used its blood to make a certain alcohol shot for customers. This might be a right place for you if you are that bold. Looks intimidating but tastes heavenly. Location: 371A Nguyen Trai, Nguyen Cu Trinh Ward, District 1, HCMC. If you ever go drinking in Saigon, make sure you do it the right way. We Saigonese have our own way with beer talks. Nowhere else in the world and nowhere else in Vietnam can you find such energetic, tipsy yet musical atmosphere as in boozers in Ho Chi Minh city. Xien Khe is a place like that. Plus it’s a waterside restaurant so you can find yourself carefreely enjoying the passing motorbikes and the city lights. The menu here is relatively good with various options listed down according to how the ingredient is handled in the kitchen. Prices are commonly affordable for a 2~3 hour catch-up with good friends. I wouldn’t ask for more in a boozer. You know how the Vietnamese usually cheers! We shout out loud “1, 2, 3 dzo”! Vegetarian eating is a commonly followed Buddhist practice in Vietnam. Oftentimes, when people eat vegetarian food they are seeking equilibrium in mind and an emotional lift up from negativity. However, even if you’re not a vegetarian, this tranquil and elegant restaurant deserves your attention. I do believe that Hum does live up to the cultural expectation of people who take vegetarian cuisine seriously. 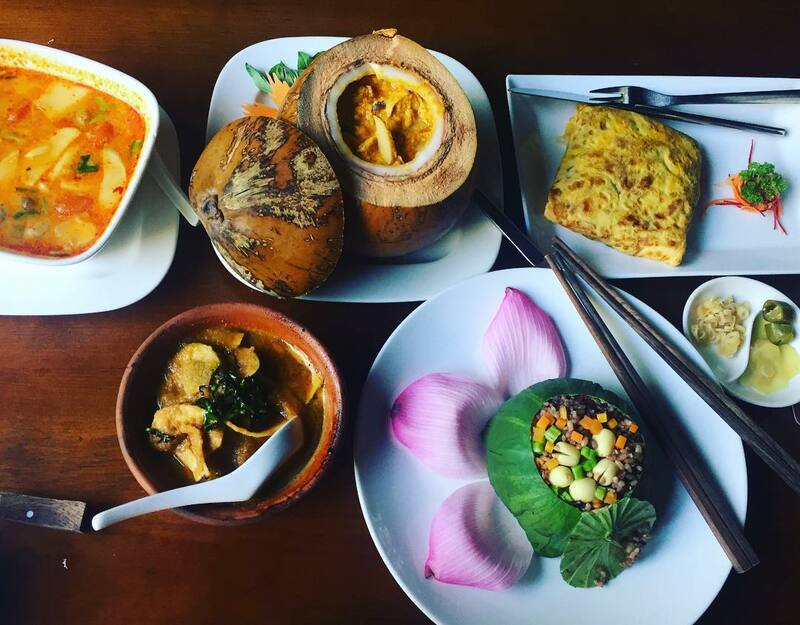 From the delightful and effortfully made Vietnamese dishes to to the charming service, dining at Hum restaurant should be on your experience checklist when you are in Saigon. Veggies always possess the irresistible charm. 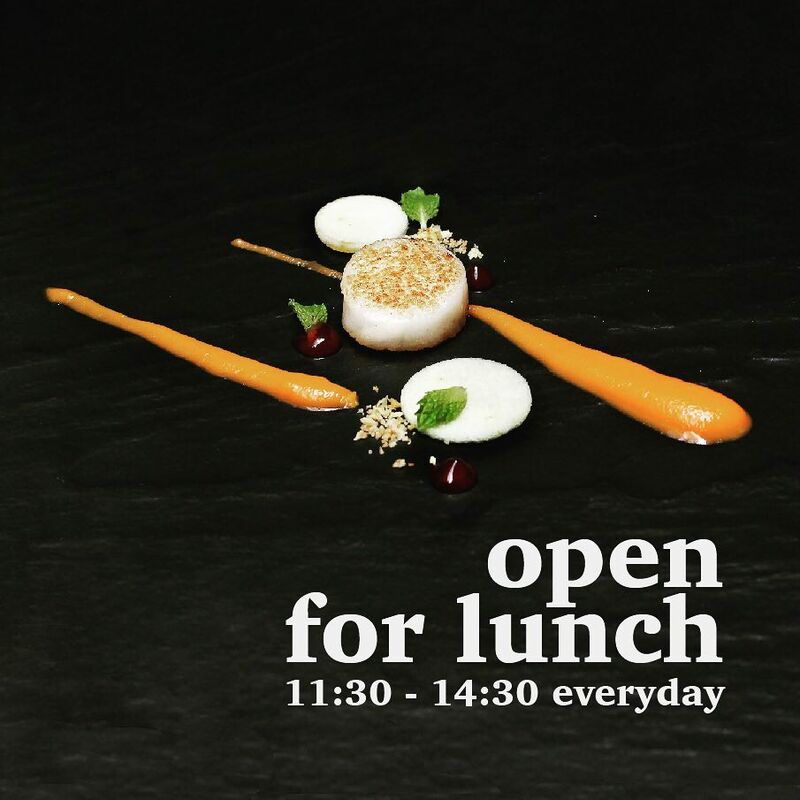 Looking for fine dining with a twist, you are where you need to be! It’s easy to forget how much we depend on our senses until we challenge them. People said that 70% of a food taste comes from its smell, you eat with your nose first not your tongue. Wanna check if that’s true? Come to Noir. When it freshly opened, Noir was all over the newspaper pages as the first restaurant to let you eat in the dark. The idea was not appealing to me, the clumsiest person I know when it comes to fancy eating at first, but the excellent review took me there. I was surprised to find out that staffs here are all disabled people who are well trained and super attentive to your requests. Location: Lane 178-180D Hai Ba Trung Street, Da Kao Ward, District 1, HCMC. 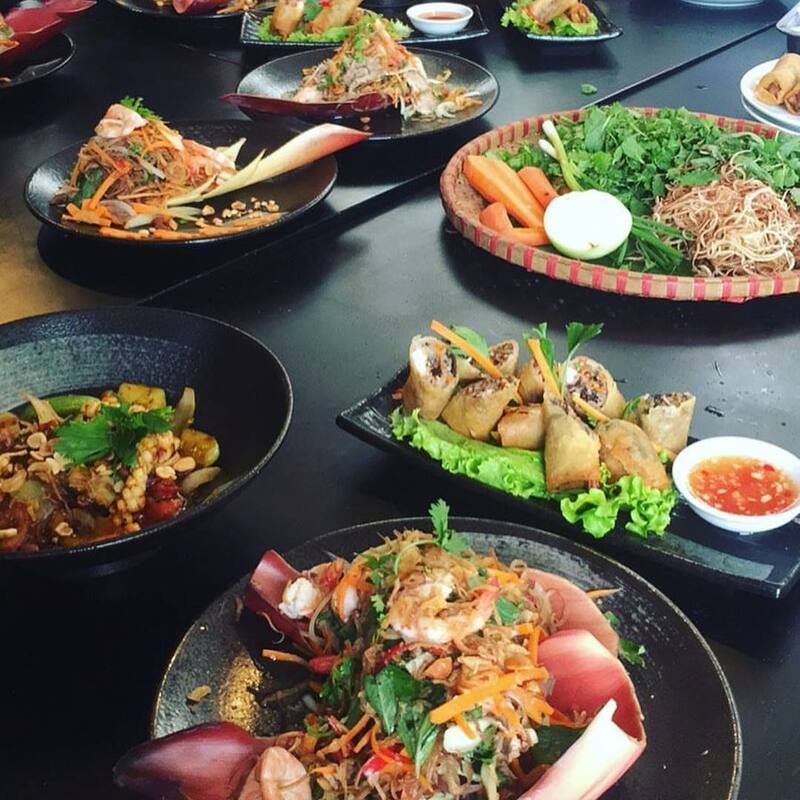 If you’re looking for fancy atmosphere but still want to discover Vietnamese traditional cuisine, this is the place for you. Although located in the center of the city, its inner space does make you feel like you are in a remote peaceful shell retreating away from the boisterous city outside. Inspired by the mountains, we can tell right away from the name, the interiors of Mountain Retreat are mainly made of stone, rustic wood and Vietnamese ethnic bohemian design. If you ever dine here, you have to take a look at the outdoor space. 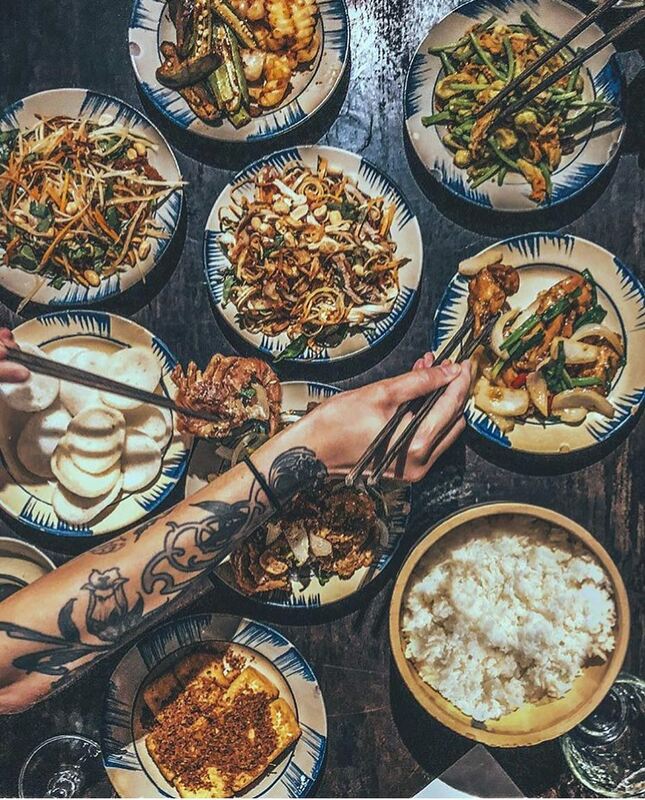 Let alone good food, I think this is the reason why Mountain Retreat gets into our list of best 20 restaurants in Ho Chi Minh city. Challenge your tummy with this abundance of good food? Like successful Saigon eateries such as Au Parc, Mountain Retreat or Hoa Tuc, Cuc Gach Quan has that featured relaxed cafe vibe but only a bit cuter I may say. “Cuc Gach Quan” is the Vietnamese name for Brick – Gourmet Vietnamese food Restaurant sheltered inside an old reconstructed French villa design by an architect named Tran Binh. The menu has quite a similar food style with Mountain Retreat, Cuc Gach may be a better choice for cozy dinners with close friends and family. 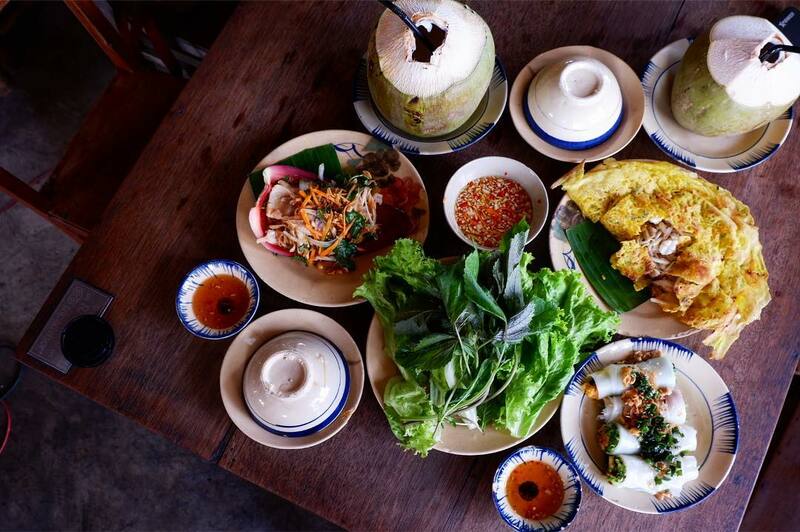 It serves basic yet very artistic Vietnamese traditional homemade dishes. To prevent crowded inconvenience, I suggest you make your reservation or avoid peak dinner time. KOTO stands for “Know One, Teach One” which is also the ethos of Jimmy Pham – KOTO’s founder. He’s a Vietnamese – Australian who in the early 2000s opened a training center in hospitality in Hanoi. Continuing his dream of educating motivated and hardworking youngsters who want to start their career in hospitality industry, he established KOTO Saigon Chain. People come here for good Asian and Infused Vietnamese food, but go home with amazing stories from talking with the staffs and managers. 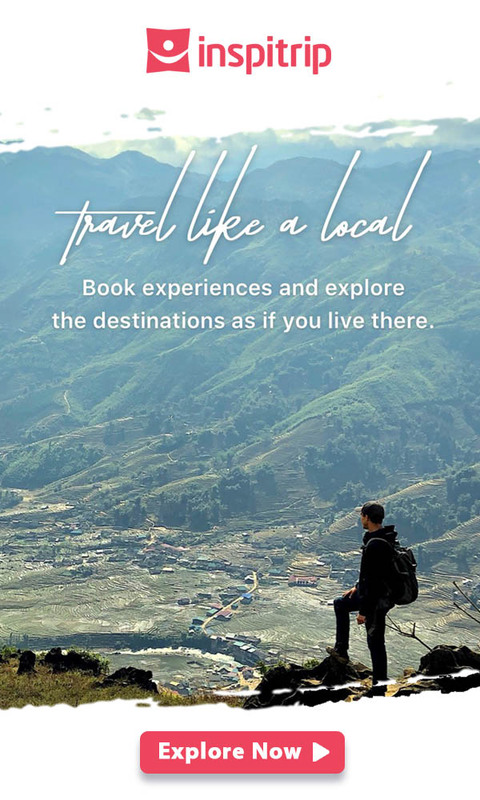 If Vietnam’s hospitality and travel services can be improved with just a few tweaks, then that’s wisdom that should be passed on. And KOTO Saigon is leading the way. Budget: 5 ~ 25 USD. Street food is obsessively delicious if you are already into it, but, at the same time, it is not for everyone. 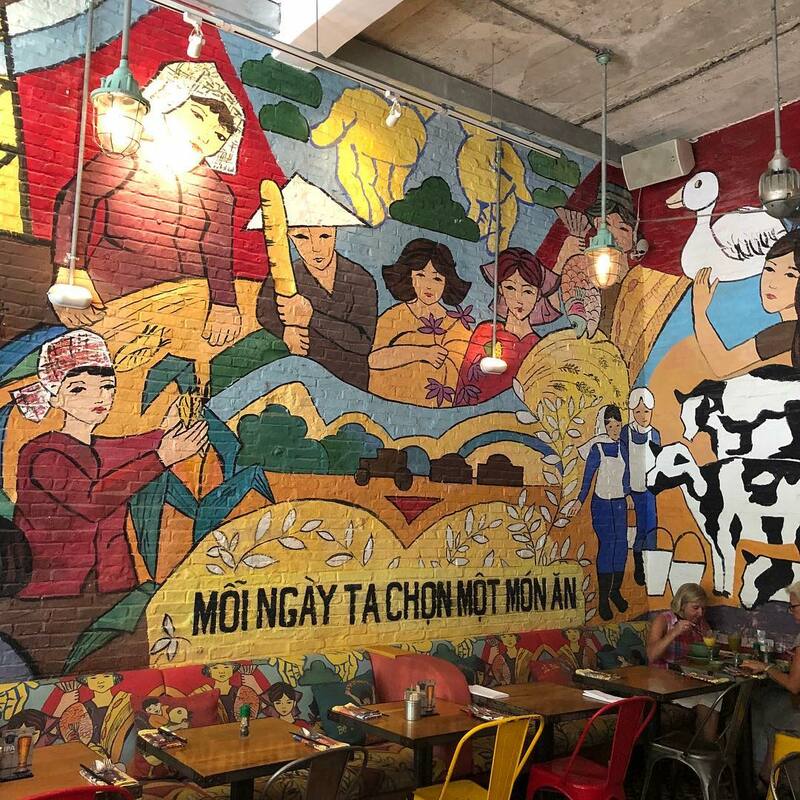 If you want to get a sense of Vietnamese street food, and please do because where else can you do that as authentic as in this Saigon, but still hesitate because of plastic tools, traffic fumes and sanitation concerns, get yourself to Saigon’s Propaganda. 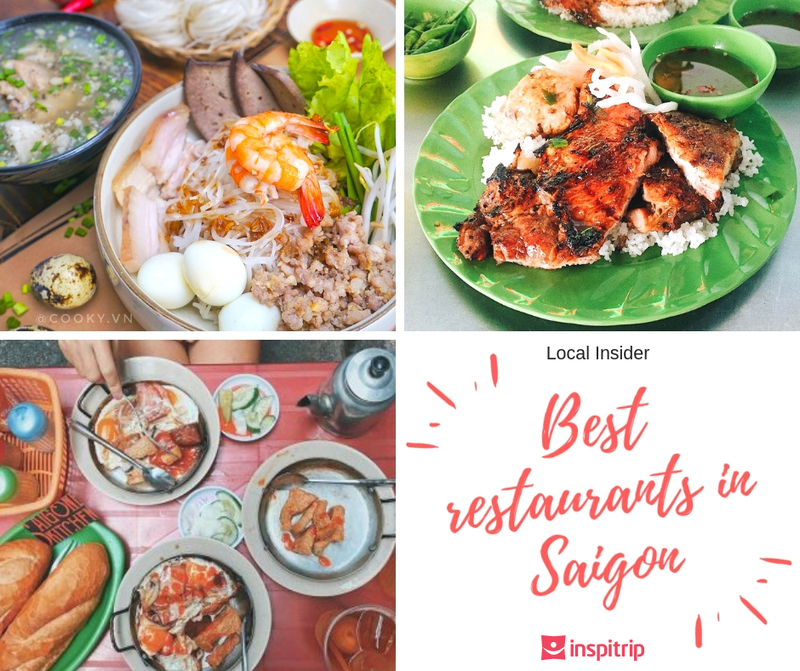 Talking a little bit about street food, I believe one of the reasons why Vietnamese cuisine is filled with diverse dishes, is because of street food . Growing up in Saigon, I “eat a different dish everyday” (Here’s a hint for anybody wondering what the sentence written on Propaganda’s wall means) This restaurant has a long menu of the most Vietnamese popular dishes like banh mi, spring rolls, bun thit nuong etc. proving that you really have options in your Vietnamese dietary. Good food, nice ambiance, great life! 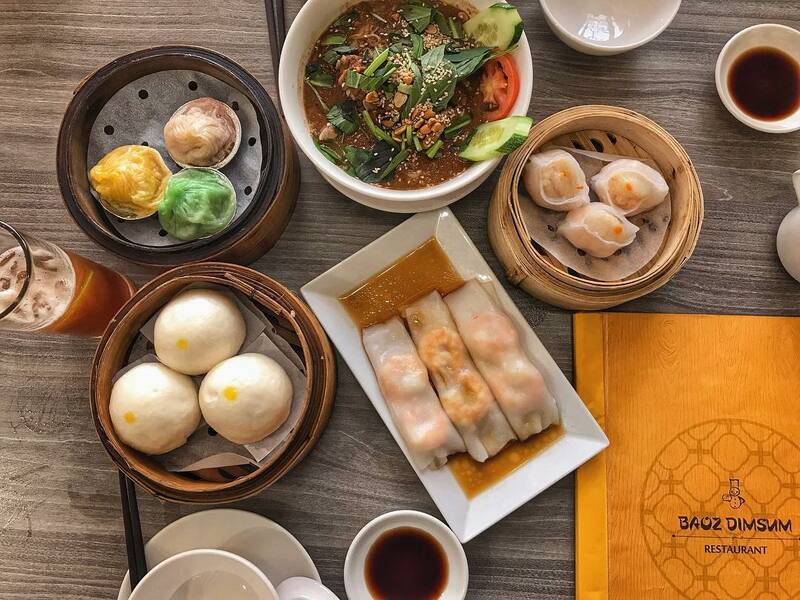 Famous as one of the initiative Hong Kong eateries coming to Ho Chi Minh city, Baoz leaves you open with an abundance of choices consisting of but not limited to Beijing peking duck, Chinese dumplings, scallops etc. One big plus for Baoz is that it opens in the early morning so if you’re suddenly in the mood for a light Asian breakfast after one good sleep, this is the correct choice. For an eatery, Baoz is quite a hectic place. Making up for that most dishes in Baoz are under budget for restaurant quality food, so visitors can easily taste bounty Hong Kong flavors and go home with a happy chubby belly. 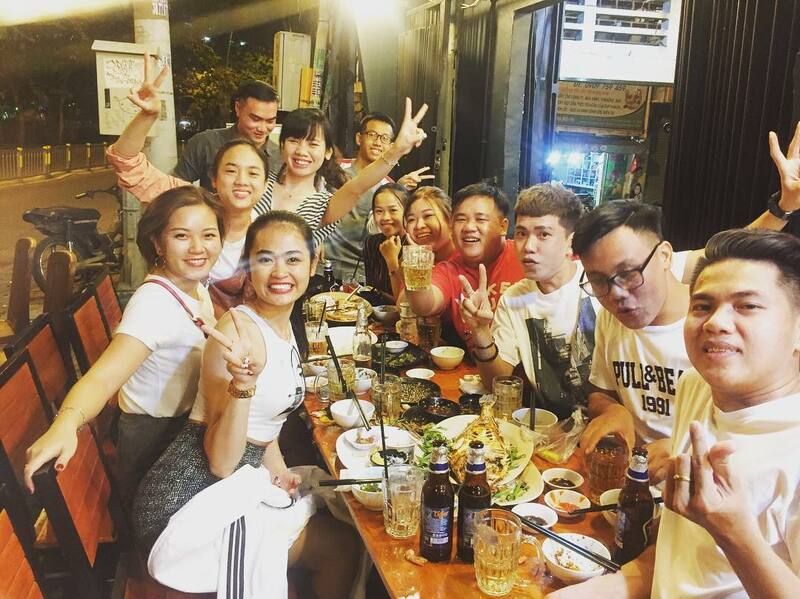 While you can definitely find authentic Chinese, Taiwan, Singapore or Hong kong restaurants here in Saigon, people just keep coming back to Baoz for that comforting environment. One of my friends told me that Poke (pronounced po-keh) came all the way from Hawaii, and means “to crossway cut into pieces” which explains the cube shape of salmon that plays the centerpiece role of this dish. Salmon is my most favorite non-Vietnamese protein, I call it that because I only started to love salmon when I studied college abroad in Japan. 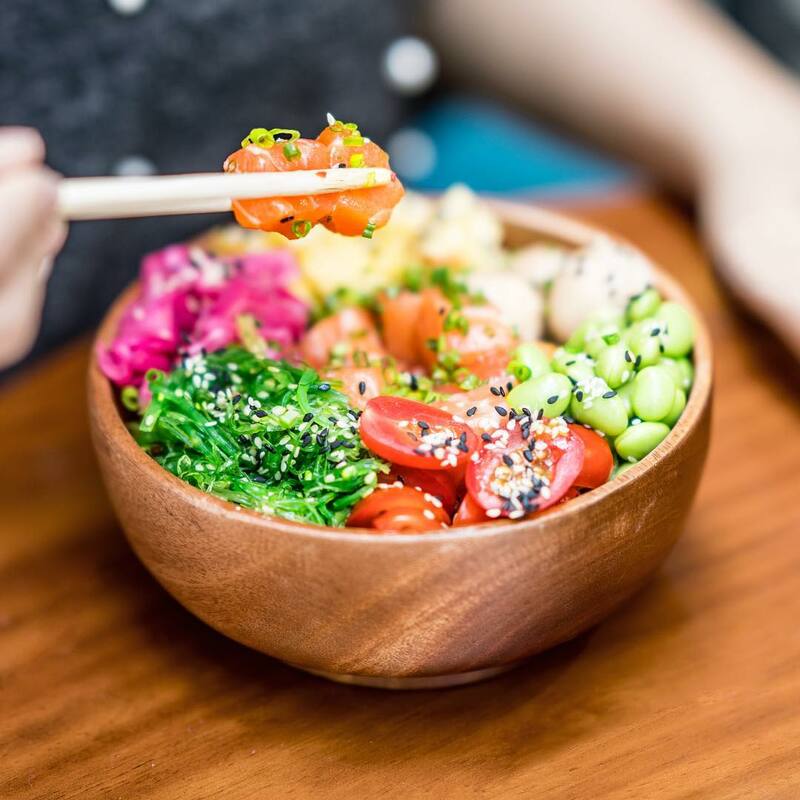 ‘Poke” is originally created by Japanese immigrants in Hawaii which makes perfect sense since the Japanese always know their fish so well. If Vietnamese cuisines lacks of one thing, that would be we eager eaters are not involved in the making of the dish we enjoy. Here in Poke Saigon you can build your own unique bowl in 5 steps: base, poke, sauces, toppings and crisps. Then whatever is inside the bowl is a product of your own creation. Location: 42 Nguyen Hue, Ben Nghe Ward, District 1, HCMC. I’ve always had a fondness for Thai flavors, and I’ve been continuously trying out Thai restaurants throughout this crowded city and Thai house is one that always leaves me satisfied. Some Thai places only provide you a few worldwide dishes like Tom Yum, Pad Thai and Mango Sticky Rice which disappoints me because of its repetitiveness. The first thing that Thai House impressed me with was its colorful, more than 10 page menu with vibrant pictures. I wanted to try out half of the dishes on the list just because too many of them I have never heard of. I’ve tried Tom Yum (of course, I have to confess I use this dish to evaluate any Thai restaurant), Crispy Fried Pork and Mango Salad. All are absolutely divine! I used to struggle to find good Italian food in Ho Chi Minh city, especially pasta. 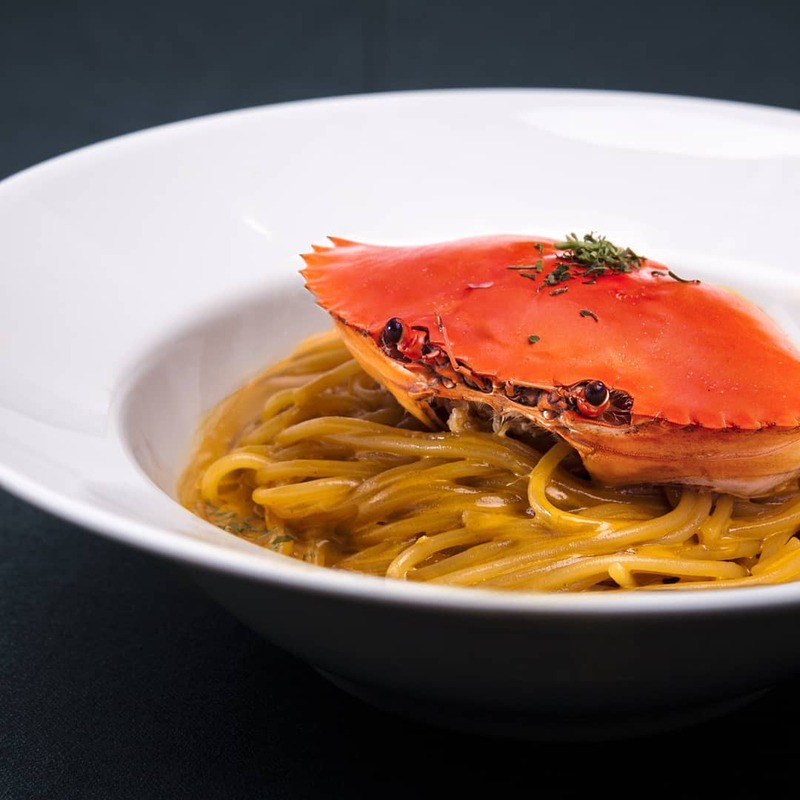 For weeks people just couldn’t stop talking about it’s signature Crab Spaghetti. And yes, I found the love of my life ever since. Writing about it makes me want one right here right now. What’s there for you if you are not a pasta lover? Worry no more, Pizzas at 4P’s can win over your heart in the first bite. Moving a bit away from delicious goodness, the vibe of 4P’s is totally worth your visit. I find myself comfortably enjoying my time at places not fancy but classy enough to get certain privacy. This Italian chain will stay a long long time in our list of best restaurants in Ho Chi Minh city. The old saying goes “If you want to know where you’re going, you’ve got to know where you have been”. If you know Saigon, you know it is changing by minutes. Despite the chaotic history of Vietnam, vintage nostalgia is pretty much on the trend in the Southern Hub, especially where coffee is involved. Saigonese take coffee very personal, we have a thing for pretty coffee shops. The first thing that pops up in Vietnamese minds when we hang out is spending our time at coffee house to catch up and chill. Saigon’s Retro is the right place with the right vibe to do just that. 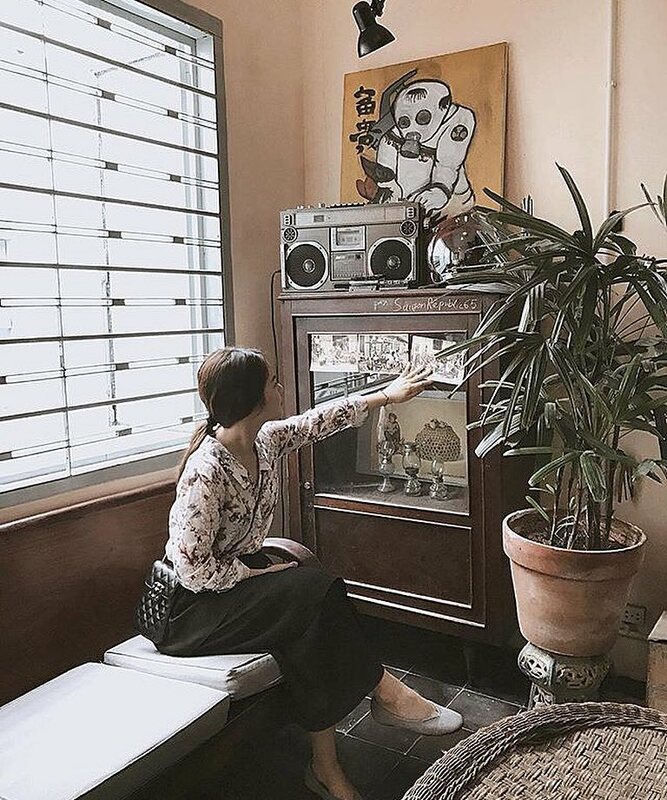 This upstairs spot located above a convenience store was the pioneer of the new wave of vintage cafes to appear in Ho Chi Minh city. Grab a mandatory “Sai Gon ca phe sua da” (Saigon milk coffee), find a seat on the breezy balcony and take a break from time for a few hours. You have a coffee date with Saigon retro this afternoon! Location: First floor, 55 Tran Quoc Toan, Ward 8, District 3. Before saying anything, I need to let you know this is a milk tea chain, and yes, it only serves Tea and Milk Tea. I know people say that if you want milk tea, go to Taiwan and that Saigon has thousand places for coffee and milk tea. 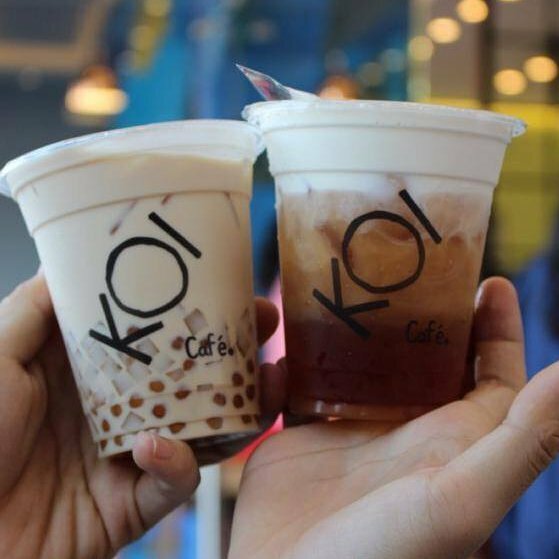 However, I find myself coming back for Koi everytime and believe me when I say I don’t know another person that has tried out as many Milk Tea brands as I did. There’s got to be a reason behind this. I have friends in Ha Noi and friends in Da Nang who point out to Koi anytime I take them on a Saigon tour. Bottomline is if you ever have that craving for milk tea while you’re here, you know where to go. My recommendation is Black Tea Macchiato and Green Milk Tea with white pearls. Here comes my favorite Tea and Coffee house in Sai Gon. Phuc Long has been in Ho Chi Minh city for decades but only became so popular in the last five years. 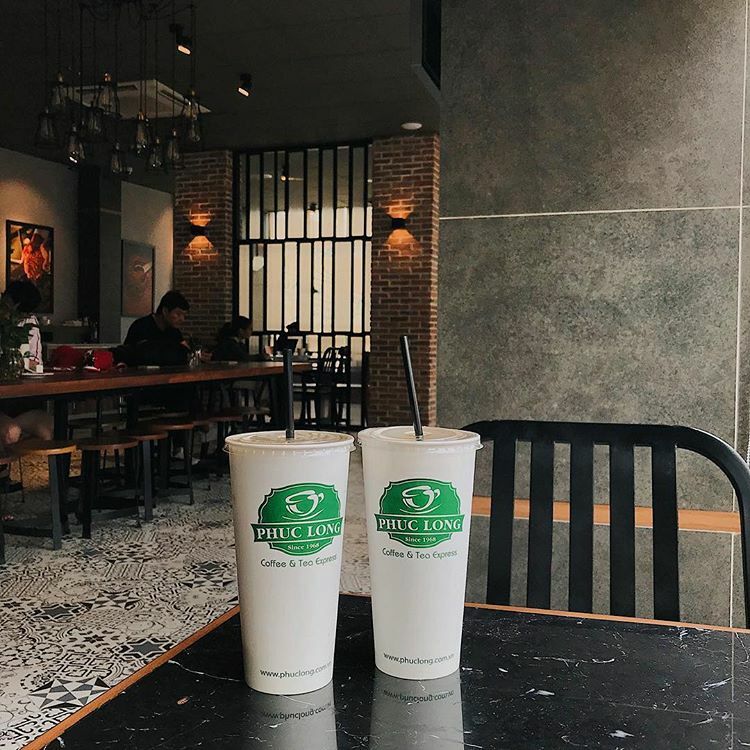 People love Phuc Long for its flavor: amazing signature Phuc Long Tea Latte and precious Oolong Tea Latte. Years ago, Phuc Long came up with Peace Tea and later set a trend for the all drink serving places in Ho Chi Minh city to have Peach Tea on their menu because we just can’t have enough of it. Besides refreshing drinks, Phuc Long is also a great place for Tea and Coffee Gifts. Captivating Vietnamese flavor boxed in lovely packagings, its products will make great presents for your beloveds. Location: Phuc Long has its branches in most busy streets and shopping malls, you just can’t miss it.